If all goes according to plan, Sackville will get another extension to its Waterfowl Park this year. 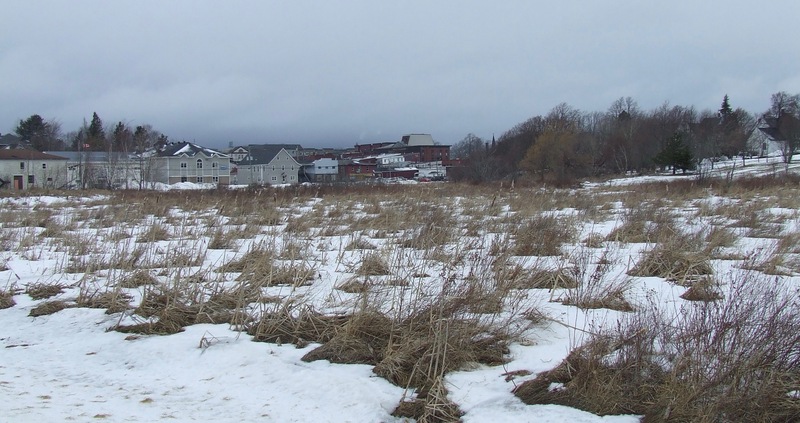 Town councillors will be asked next week to approve an agreement with Ducks Unlimited (DU) that would enable preliminary work to start soon constructing a six acre pond on vacant land behind the Marshlands Inn, north of St. James Street and east of Lorne. The town has released information showing it spent $75,000 purchasing two parcels of land for the DU pond from Marshlands owners Lucy and Barry Dane, who operate under the company name Blaj Hospitality Inc. The town also spent an additional $25,000 to buy a third parcel from Sarah Evans and Alan Barbour, who run the Black Duck Café. The DU pond was first announced in November 2017 when town officials outlined plans for the construction of three ponds as part of the Lorne Street flood control project. A larger pond that will be able to hold 40,00o cubic metres of water is now being dug south of St. James Street and if council approves, soil excavated from it would be used to construct the berm needed to contain water in the smaller DU pond, which could store up to 8,600 cubic metres. Town engineer Dwayne Acton told council Monday night that DU will pay the costs of creating the pond and installing the water control structure that would connect to a culvert under St. James Street. He added the group would also be responsible for maintaining the pond during a 25-year renewable lease. Acton said DU had been planning to begin work this summer, but approached town officials late last week hoping to use some of the earth being excavated for the pond south of St. James to build the dyke or berm needed to contain water in its own pond. He said DU would hire a contractor in the spring to shape the berm and build the structure to control water levels in the pond. Acton added that the normal water level would be one-and-a-half feet, but the three-foot berm would allow additional water to be stored during severe storms before being slowly released. He said the town would look at putting a walking trail on top of the berm along with interpretive signs. “Essentially, it would be an extension of our Waterfowl Park, very similar to what you’d see if you’re walking out on our existing Waterfowl Park,” he said. The land purchases for the Ducks Unlimited pond were part of a total outlay of $373,900 since the town began assembling land for the Lorne Street flood control project in early 2017. 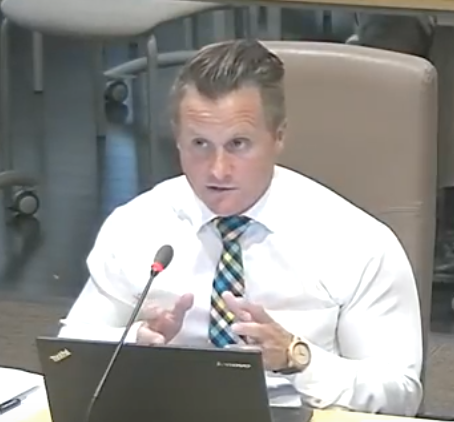 Town manager Jamie Burke told councillors on Monday that in total, the town has acquired 18 properties with all but one of the transactions fully complete. 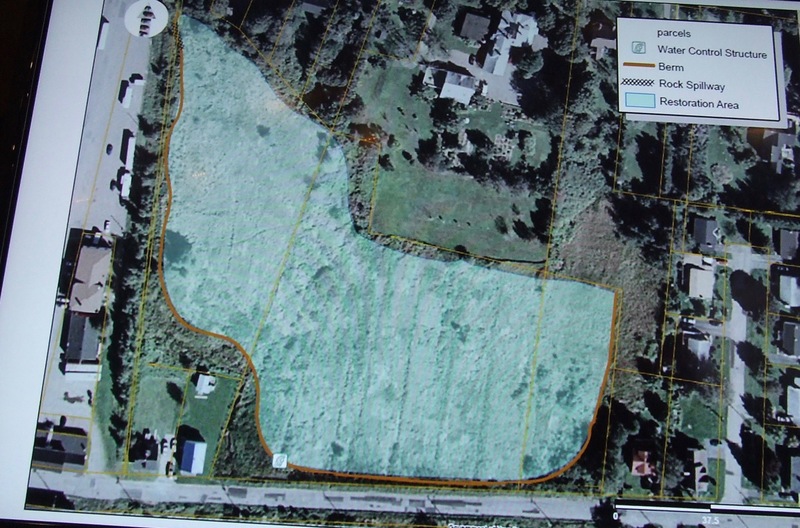 Burke outlined a complicated land exchange with CN Rail under which the town agreed to purchase the Crescent Automotive, AutoPlus store in the industrial park for $99,900. The town then gave the building to CN in exchange for seven CN properties needed for the flood control project. “It worked for us and it worked for them,” Burke said, adding that the town managed to create a partnership with CN on flood control. “This has been a long, complicated, frustrating at times, file,” Burke added, a sentiment echoed by Mayor Higham. “Wow, this was much more complex than we thought it was going to be going in,” Higham said. “I appreciate the inventiveness you’re shown here to protect the taxpayers’ dollars with the deals across, swapping and slipping and moving around so that we could cover the potential footprint of a flood mitigation strategy with this,” the mayor added. To read more details about the town’s property transactions, click here. This entry was posted in Town of Sackville and tagged Ducks Unlimited, Marshlands Inn, Sackville Waterfowl Park. Bookmark the permalink. It is very difficult to make any comment, positive or negative, until one actually sees what the full plan is. It has been about two years since the Town informed us they were planning on putting a pond there. It seems the latest town management does their best to reveal as little as possible to the citizens until any job has actually gone to tender, as certainly has been the case with the multi million dollar Lorne St Phase II job. At this point it would seem that they are going to permanently pre flood an area to the depth of 18″, which will see the contained water level higher than Lorne Street, or St James Street. With this project they will be trucking in hundreds of cubic meters of fill to this wetland and seemingly taking away water retention capacity. This seems to be exactly the opposite of what seems to be taking place across St James Street. It sure would be great to actually have an ‘open to the public’ CONSULTATION session before town management proceeds, like the good old days when citizens of Sackville were given the recognition that they too are part of the community. As far as the new Ducks Unlimited pond is concerned, I’m somewhat willing to extend the benefit of the doubt for the reason stated that the fill material is available now and there would be no need to disturb the land, but that is as far as I can go. Why was no one from Ducks Unlimited there to present the plan? Why was the plan essentially presented by the town? And, it was a brief presentation, to say the least. Nothing about the terms of the lease other than it’s for 25 years and renewable. Are we getting money for the use of the property? What are the liability concerns in the event of a berm breach? Is there anything being done about insect populations due to standing water? The Town spent $100 thousand to obtain the land and now are rushing through the approvals. There should be a presentation made to the public and a proper comment period – not just this is what we are doing. As Bruce pointed out, this pond was originally part of the Phase II plan in 2017 – that plan was modified due to budget constraints. Seeing that no one from Ducks Unlimited had the courtesy to be present at the meeting, I wish there had been one councillor brave enough to vote no, denying the unanimous consent required to change the agenda to include discussion of this new pond.